Manabu Ikeda’s latest work titled Rebirth is proof that in order to create a masterpiece, one must be disciplined and ready to devote the necessary time. For 3 and a half years, Ikeda spent 10 hours a day painting his beautiful, massive ink picture. The 13×10 foot art piece was inspired by the tsunami in 2011 and the Fukushima disaster. When you look closely, you can see a multitude of what seems like stories within a story. 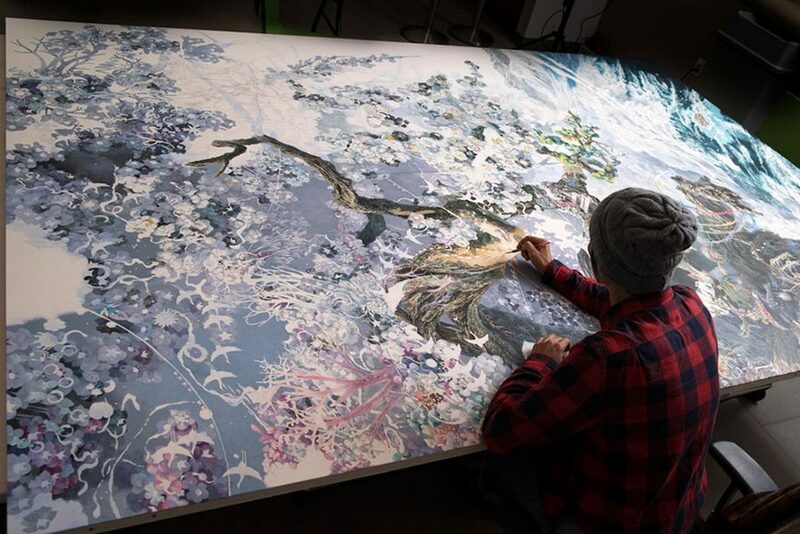 Manabu Ikeda has created a stunning visual masterpiece. Danasia Fantastic founded TheUrbanRealist in early spring 2013. She loves good cocktails, great conversation and doing what she wants.